Pregnancy yoga is the ideal way to bring the body into harmony with the changes and demands of pregnancy. Yoga maintains and improves health, it allows us to trust our intuition, and ability to listen to the body. This is vital for labour to progress naturally and brings calm. This class offers time for you to enjoy the transformation, and time to be with your unborn baby. Yogabirth, yoga for pregnancy, classes offer healthy exercise and preparation for labour and birth. In class there is always a range of physical abilities, backgrounds/working life and stages of pregnancy. However they all have one thing in common: wanting to do their best for their pregnancy and unborn baby. Women time and again get great peace of mind, comfort and joy from doing yoga with other pregnant women. These antenatal classes are currently running in Inverkeithing and Dunfermline, Fife. 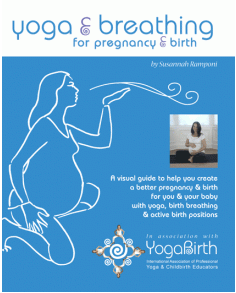 Susannah has written and illustrated ‘Yoga and Breathing for Pregnancy and Birth‘. With 120 pages and over 250 individual illustrations and photos it is a fantastic visual guide to practising at home. Susannah has completed over 2 years of specialised training with YogaBirth in yoga for pregnancy and birth, and antenatal education. Yoga for pregnancy offers safe yoga, some breathing and relaxation. YogaBirth classes also offer a deeper understanding of pregnancy, complications, ways to alleviate discomforts, preparation for birth and breathing for labour and birth. It is ideal to start classes once you have reached the second trimester (12 weeks), you can start anytime after this. The classes are designed to be suitable right up until 42 weeks or the birth of your baby. When you join the class you will have the option of joining the pregnancy yoga closed group. 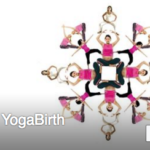 This group is only for those who are attending or have attended pregnancy yoga with me. This will allow you to get in contact with others in the class to meet up. Its especially helpful after you’ve had your babies. Susannah's 'mummy centred' and relaxed yet structured approach to pre-natal yoga helped me reach the places other classes haven't quite reached... thank you Susannah! At the end of the class I felt so, so, so relaxed! I really enjoyed Susannahs serene smile and sense of humour, the inspirational quotes and most definitely the relaxation/meditation session at the end of the class. And who doesn't love homemade cake?? I can't thank you enough for all your help advice and support over the last few months, I've really enjoyed coming to class and have already recommended it to a pregnant friend!